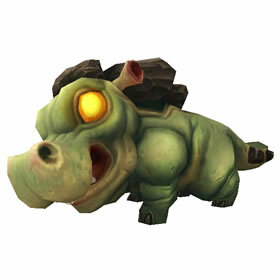 Normally found near inland water near their larger Riverbeast counterparts in Talador. I found some near Terrokar Refuge Island. I passed maybe at least 10-12 of them. I think it's just a timing thing. These spawn in two places: SE of Auchidon, Terrokar Refuge Island. However, they don't spawn in both places at the same time. If you only see the critters at your location, go the other location. There should be around 7 in each area. I got a blue near Auchindoun a few minutes ago (Moon Guard server), B/B breed and thought about trying to find another one to upgrade, but I think I'll leave him as is. He's a cute little guy and it doesn't really matter if he's not a better breed as I'm not likely to use him in a battle. Found a rare B/B and uncommon H/S at the same time. About 2 months prior I caught my first common(after a guildie tipped me off that he saw two and caught one) one and raised it to rare, also a B/B. I think there are normally two spawned at the any time. Got one the first time I checked but only an uncommon - oh well battle stone here I come! The minute I landed on Darkfall Island, I found a common Flat-tooth Calf. Couldn't find other one after that. This little guy was difficult to find. I got my common one (finally) next to his mama. (44,91) Be sure to not AOE when you kill mama or you will be very, very sad. This pet only seems to come as the first pet - I've never seen it join a battle for any other pet in the area. Also, I've been searching for my rare for awhile now and I've been using the "Kill all Flat-Tooth Calf critters" method, then while I wait for respawns I use the Premade Finder to server swap to check other servers. Found my first Calf nere the waterfall at 65,64 rare quality. Also found a poor quality on the opposit side at 68,56. Its a tricky little one to find! I made two passed of both areas and was about to leave when I got mine by the waterfall, I figured, that's where the actual monsters hang out, that's where I should be able to find one. I found 4 @ 64:57 @ 12 noon server time. I had looked around a lot before with absolutely no luck. Was lucky enough to find a grey one at 64.83, 56.53 (Duskfall Island). I'd been riding around for about 25 minutes before I found this grey one. 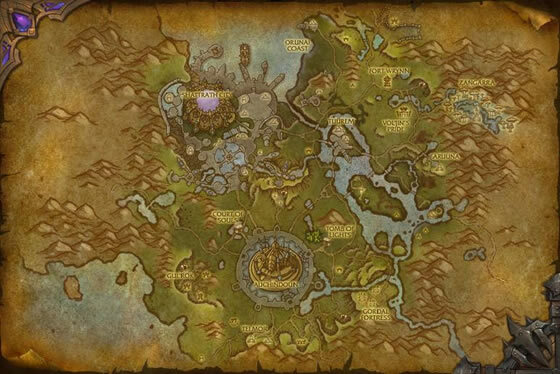 I have also found these guys in Talador along the shore starting at 64.5/63.1 where the Riverwallower beasts are grouped...and continuing up along shoreline to the north, on both sides of river. Found my uncommon on a tiny island/sandbar in between Achindoun, and Deathweb hollow (SE). There were two riverwallowers fighting beside samesaid tiny island (but of course, they might be dead/pre-respawn) when you come to it. Sorry, I don't have the co-ords app, so hopefully descriptivness does the trick. mine is equal speed and power (at 221) and his health is 1480. Edit: Just spotted another uncommon in the same river, this one just below sunsworn camp. I saw two near the water SE of Auchindoun. Other than that, they're pretty scarce. Hope this helps! Same model as the Mudback Calf and also the same scarcity. Lots of place holders for the little guys but almost none are interactive. I found mine by the pond on the south-east side of Auchindoun (55, 81). It was the only one that could be battled out of about 20 PHs surrounding.